I have been practising Osteopathy for 16 years since I qualified in 2000 with a First Class Honours Degree in Osteopathic Medicine and a Diploma in Naturopathy at the British College of Osteopathic Medicine in Hampstead, north London, where I also tutored for a few years after graduation. 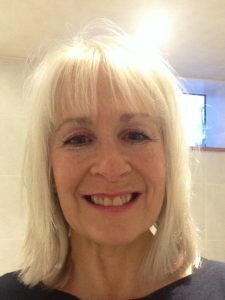 I have worked at the Complementary Health Centre for over 15 years as well as other practices in north London. Prior to that I was a State Registered Nurse at The Royal London Hospital. I was attracted by the whole person approach of osteopathy after being part of the work force in orthodox medicine in which patient care is compartmentalised according to the nature of their complaints. I found satisfaction in being free to consider a patient’s symptoms in the context of their whole body and life style, and treat accordingly. I have never lost the thrill of hearing a patient say how much better they feel, often after just one or two sessions! My philosophy is where there is life there is hope, and unless contra-indicated, osteopathic treatment can nearly always bring about an improved sense of well being and increased ease of movement, if not a cessation of symptoms as is the case in chronic conditions such as Parkinson’s disease. As well as muscle and joint problems, I also treat abdominal discomfort and digestive problems. I welcome people of all ages from school-aged children to the elderly. Post-operative patients following joint surgery or those who have been hospitalised for a long time and have stiff or weak muscles through inactivity can be greatly helped by osteopathy. I also treat pregnant women with low back and pelvic pain. Additionally I see patients with no specific symptoms, but who experience the all pervasive feeling of being out of sorts as a result of poor posture and lack of exercise. Many of these have office-based jobs and I am able to give them ergonomic advice on office furniture, how best to arrange their work stations and advise on convenient exercises which can be done during working hours and don’t involve lying down or wearing special clothes. I treat people who have voice problems and sometimes difficulty swallowing associated with tight musculature around the larynx. These include people who have a heavy vocal workload such as singers, actors, teachers, and also those who have had surgery of the throat and certain throat pathologies. I am a member of the Voice Clinic team at Lewisham Hospital, where I have gained a good deal of experience in this field, working alongside Jacob Lieberman who is a leading expert in laryngeal manipulation, ENT surgeons and speech therapists. I lecture speech therapists on the role of palpation in assessing voice problems. My other passion is being in the great outdoors, coastal-path walking, and open air swimming, and I’m rarely happier than when shovelling barrow loads of manure on to my allotment! I have an ongoing project converting my once derelict 1930’s semi into an energy-efficient home with solar panels, wood- burning stove, heat-recovery system and a rain harvesting tank that supplies water to the toilets and the washing machine.